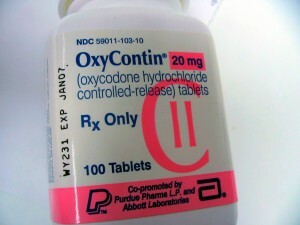 Posted by: StopOxy | Comments Comments Off on Is OxyContin Still King? There are growing signs around the country that the abuse of OxyContin is diminishing. The drug is being bypassed during pharmacy robberies in favor of Opana, methadone and other narcotic drugs, and some hospital emergency rooms are reporting a decrease in OxyContin overdoses. New form of OxyContin seems to have led to a decrease in abuse and a corresponding increase in heroin use. According to Forbes, the Journal of Pain and other publications, the introduction of a new tamper-resistant form of OxyContin in 2010 seems to be responsible for a decrease in abuse of the drug. Drug addicts previously crushed OxyContin pills to circumvent the drugs time-release mechanism and experience the full impact of the drug in one rush. Instead of allowing drug abusers to crush the pill for snorting or injection, the new OxyContin turns into a gummy mush when tampered with. Unfortunately, the reformulation of OxyContin does not appear to be leading to an overall drop in drug abuse. 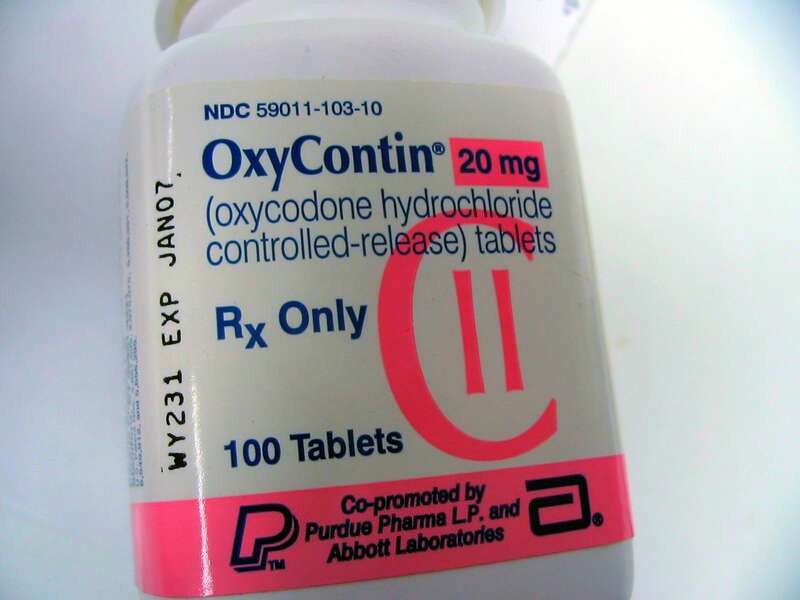 In the past decade, OxyContin became so popular as a drug of abuse in rural communities that it was nicknamed “hillbilly heroin.” This nickname has unfortunately proved to be somewhat prophetic since many former OxyContin users are now turning to heroin to achieve a similar high. According to Dr. Gregory Davis, a professor of pathology and coroner in Birmingham, Alabama, the city has recently seen a rise in heroin overdoses from one or two per year to one or two per week. A study recently published in the New England Journal of Medicine shows the shift away from OxyContin abuse. In 2009, about 36 percent of patients at drug treatment centers reported that their primary drug of abuse was OxyContin. In 2012, following introduction of the new form of OxyContin, about 13 percent said it was their primary drug. More than 30 percent of the patients said their drug of abuse was another opioid such as fentanyl or hydromorphone. The study involved more than 2,500 patients at 150 treatment centers in 39 states. Especially troubling is that fact that 20 percent of patients reported using heroin in the past 30 days. One of the patients involved in the study said that heroin is becoming more popular because it is cheaper, more readily available and easier to use than prescription opioids. According to Theodore Cicero, professor of psychiatry at Washington University and co-author of the study, the upsurge in heroin use could be even more dangerous than prescription drug abuse. Addicts don’t know for sure the strength of a heroin dose and they must use it much more frequently to avoid withdrawal. Heroin also carries a risk of disease transmission through needle sharing. In addition, heroin addicts often engage in illegal activities to obtain money to buy the drug. Cicero says it is also possible that some people are switching to other prescription drugs like Vicodin to get high. Because they would have to take higher doses of these other drugs to get the same high that OxyContin once delivered, they are at increased risk of overdose. According to Cicero, deterring the use of one drug will not necessarily get people to stop using drugs altogether. So although OxyContin’s reign as king may have ended, the drug abuse problem in American lives on. Comments Comments Off on Is OxyContin Still King? 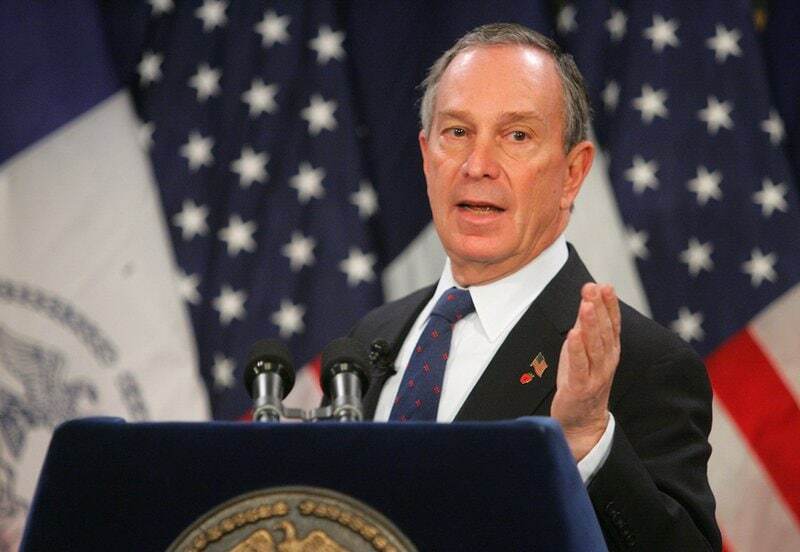 In response to a citywide and national epidemic of prescription drug abuse, Mayor Michael Bloomberg has instituted a policy in New York City that will restrict the use of prescription painkillers in the city’s public hospitals. The policy, which will affect the distribution of prescription drugs from hospital emergency rooms, could set a model for hospitals across the nation. Under Bloomberg’s new policy, emergency room patients will only be given three days worth of narcotic drugs like Percocet and Vicodin. Oxycontin, which has been shown to be one of the most addictive painkillers, will not be distributed at all from 11 public emergency rooms. This is also true of methadone and Fentanyl patches. 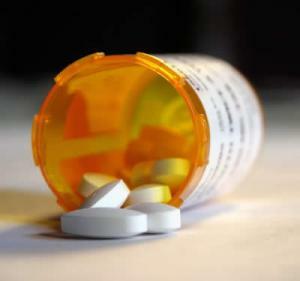 Emergency rooms also will not fill painkiller prescriptions that are reported to have been stolen, lost or destroyed. One of the goals of the new policy is to reduce the amount of drugs that end up in medicine cabinets and diverted for sale on the street. When he announced the new policy, Mayor Bloomberg said that a quarter million teenage and adult New Yorkers are abusing prescription painkillers. Two million prescriptions for highly addictive opioid painkillers are written in New York City each year. According to New York health commissioner Dr. Thomas Farley, an estimated 40,000 city residents are in need of treatment for painkiller dependency. The situation has led to an increase in drug overdoses and deaths, robberies of neighborhood pharmacies and a rise in prescription fraud. The new policy is not without its critics. Dr. Alex Rosenau, president-elect of the American College of Emergency Physicians, stated that he would prefer to leave decisions about prescriptions in the hands of physicians. However, emergency room physicians had not developed their own policy to limit the abuse of prescription painkillers. Other critics have pointed out that emergency rooms are often the primary source of medical care for the poor and uninsured. The policy could deprive these people of access to medication for legitimate pain. NYC health officials say that the new policy will not apply to patients who are being treated for cancer, nor will it limit drugs being dispensed to patients who have been admitted to the hospital. Similar policies have been enacted in Utah and Washington State. The new policy does not restrict painkiller prescriptions in about 50 private emergency rooms in New York City, but many of these hospitals say they will voluntarily adopt the new regulations. The demand for narcotic prescription drugs is so high that drug dealers will go to almost any length to get their hands on drugs to sell. A San Diego drug ring took this to an extreme by intercepting thousands of pills that were slated to be destroyed and selling them on the black market. Agents from the U.S. Drug Enforcement Administration arrested John Bonavita and two employees of Enserv West LLC, a medical waste disposal firm. The employees diverted pills that were slated to be destroyed to Bonavita, who sold them to other dealers. As part of a plea agreement, Bonavita admitted to purchasing and reselling 13,000 hydrocodone tablets (a pain medication that’s sold under the brand name Vicodin), 900 oxycodone tablets (another painkiller sold under the name OxyContin), 111 methadone tablets and 350 morphine tablets. The drug ring operated from 2009 to 2010. DEA investigators learned about the group when an informant who had purchased thousands of prescription pills from Bonavita began working with authorities in order to avoid prosecution. drugs have been the leading cause of accidental death in San Diego County. 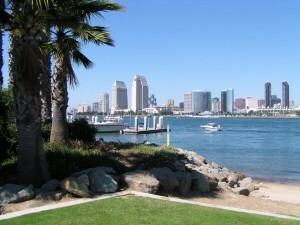 The San Diego County Prescription Drug Task Force was formed in 2008 to combat the growing problem with the abuse of prescription medications like OxyContin. County officials have collected a significant amount of drugs during scheduled “take back” events where citizens are encouraged to turn in unwanted and unused prescription drugs. Since 2007, county officials have collected several tons of prescription drugs each year. It’s unknown if any of the drugs that were turned in at take back events were among the diverted drugs sold by Bonavita. Due to his plea bargain, Bonavita was sentenced this week to five months in jail and seven months in a residential facility. His co-conspirators also pled guilty and received sentences that included jail time and probation. At the root of the Prescription Drug Abuse epidemic is the reckless prescription of the drugs themselves. It’s no wonder that practices like the above have led to rampant prescription drug abuse in the United States. In order for changes to happen, policies must be changed. Awareness must be raised. That is why StopOxy is here doing what we do. The exact cause of Whitney Houston’s death is still under investigation, but her long history of drug abuse indicates that she may be another celebrity whose privileged life was cut short by addiction. Based on the contents of her hotel room, authorities are already speculating that prescription drug abuse may have played a role in her death. In just the past few years, Michael Jackson, Heath Ledger, Brittany Murphy and Anna Nicole Smith lost their lives to prescription drug overdoses. Over the decades, other iconic stars including Elvis Presley, Marilyn Monroe and Judy Garland died prematurely because of prescription drug abuse. Tabloid newspapers and website are kept busy these days by the high number of celebrities struggling with prescription drug abuse while reality shows like “Celebrity Rehab” chronicle their recovery. One unfortunate side effect of the focus on celebrity drug abuse is that it deflects from the reality of prescription drug abuse. The problem is one that crosses all economic and social lines. Addiction is not limited to wealthy celebrities – the majority of people who require treatment for addiction are working people with families and financial responsibilities. The true face of addiction looks a lot like your neighbor, co-worker or family member. Prescription drug abuse touches everyone from high school kids who have their whole future ahead of them to senior citizens who should be enjoying their retirement. The majority of the news reports surrounding Houston’s tragic death spotlights the legacy of her musical career, missing the opportunity to educate the public about the prescription drug crisis in America. The CDC reports that an unintentional prescription drug overdose death occurs every 19 minutes and that prescription drug abuse is the fastest growing drug problem in the nation. The spike in prescription drug abuse has been attributed to a class of painkillers called opioids that includes OxyContin, Vicodin, Percocet and Fentanyl. For every overdose death related to opioid drugs, nine people are admitted to substance abuse treatment centers for opioid dependency. Despite the enormity of America’s prescription drug abuse problem, most health care providers receive minimal training about the risks of prescription drug. Several agencies of the federal government are currently attempting to educate both physicians and the public about the risks of prescription drug abuse. 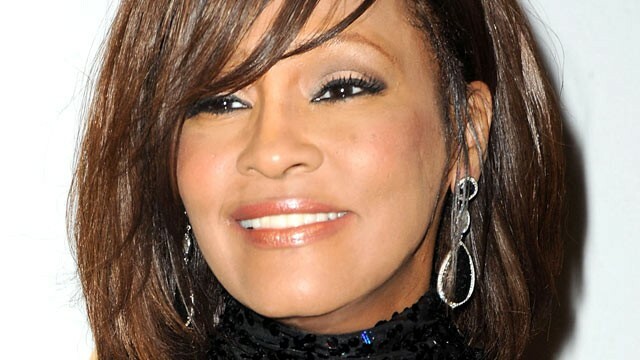 It’s understandable that the nation is now mourning the loss of Whitney Houston’s great talent. At the same time, it’s unfortunate that there isn’t more media focus on the equally tragic prescription drug overdoses that occur every 19 minutes. In response to the growing problem of prescription painkiller abuse in the U.S., three California doctors are calling on their colleagues to rethink the use of narcotic prescription drugs as medication for patients who experience chronic pain. In the U.S., opioid painkillers including OxyContin, Percocet and Vicodin are now prescribed more than any other drugs. According to the doctors, up to 20% of patient visits to physicians result in a prescription for one of these opioid drugs. Dr. Deborah Grady, Dr. Seth Berkowitz and Dr. Mitchell Katz have published their plea as an editorial in the Archives of Internal Medicine. The doctors state that 20-40% of adults report non-cancer chronic pain and that opioids have become the most common form of treatment even though few studies are available that examine the use of these drugs for the long-term treatment of pain. In fact, a large body of statistical evidence shows the harm these drugs can do. According to Dr. Katz, the use of prescription opioid painkillers results in more overdose deaths each year in the U.S. than cocaine and heroin combined. Although doctors who prescribe opioid painkillers are attempting to improve patients’ quality of life by reducing chronic pain, they are putting patients at risk of abuse, addiction and death. These drugs may serve a purpose when used for short-term pain relief, but the doctors believe they should not be used long term. Instead, patients should be counseled about non-pharmaceutical alternatives for chronic pain management such as exercise, yoga and physical therapy. In an interview published on the NPR website, Dr. Robert Chou of the American Pain Society responded to the editorial by stating that American Pain Society physicians believe that for some patients, opioids can still play an important role in managing of chronic non-cancer pain. Physicians need to determine if a patient is at risk of addiction before prescribing opioids and then monitor each patient who takes these drugs. Dr. Chou gives the example of an ideal patient for opioids as a low-risk woman in her 70s who is suffering from severe arthritis of the hip and who can walk and garden with decreased pain because she is taking a painkiller. According to Dr. Chou, statistics on opioid drug abuse and overdose deaths are a matter of concern for society but do not justify a ban on the use of opioids for the treatment of non-cancer chronic pain. Hydrocodone, the key ingredient in Vicodin and other prescription medicines, is the second-most abused prescription drug in the nation (oxycodone, the key ingredient in OxyContin and Percocet, is number one). It has been linked to thousands of overdoses, including those of celebrities Heath Ledger and Brittany Murphy, and has been the cause of a flood of pharmacy robberies across the nation. As states crackdown on oxycodone sales, people who are addicted to painkillers are turning to hydrocodone. Earlier this summer a man gunned down four people in a New York pharmacy and walked out with 11,000 hydrocodone pills. Despite the obvious addiction and overdose danger associated with hydrocodone, Vicodin is also very damaging to the liver. Still, federal regulators have been unable to decide that it’s time to tighten access to this drug. Since 1999, the U.S. Drug Enforcement Administration and the Food and Drug Administration have been trying to decide whether to move hydrocodone from the Schedule III category to Schedule II. The delay has been a source of increasing frustration for lawmakers, drug treatment counselors and the families of those who abuse prescription drugs. Hydrocodone is a prescription painkiller that is has a similar chemical makeup to oxycodone. Prescription drugs that combine oxycodone and other painkillers like aspirin or acetaminophen are under strict Schedule II controls. This includes drugs like Percocet and Percodan. Similar drugs that are based on hydrocodone, including Vicodin, Lortab and Norco, are under milder Schedule III controls. This classification dates back to the 1970s, before scientists completely understood the effect of narcotic painkillers on the human body. Pharmacies are required to keep Schedule II drugs in a secure locked location and can only fill prescriptions for one bottle at a time. The sentence for Schedule II drug trafficking is up to 20 years in federal prison for a first offense. In contrast, Schedule III drugs can be refilled as many as six times without a visit to a doctor’s office. Prescriptions can be renewed by a doctor by fax or phone. The maximum criminal penalty for trafficking Schedule III is 10 years. The DEA and FDA claim to be have been studying the issue for the past 12 years but refuse to release any related documents. After examining hundreds of pages of public documents, reporters for the Associated Press found that the issue seems to have been passed back and forth between the two federal agencies for years. It took each agency several weeks to response to AP inquiries about the status of their studies. In March, members of Congress attempted to correct the classification of hydrocodone by introducing a bill that would overrule the DEA and tighten controls on hydrocodone. Representative Mary Bono Mack, one of the sponsors of the new legislation, accused the FDA of not doing its job. Emergency room visits related to hydrocodone abuse increased by more than 400% between 2000 and 2009, from 19,221 to 86,258. Florida has been among the states that are hardest-hit by hydrocodone abuse, with the drug playing a role in more than 2700 deaths between 2003 and 2007. Advocates for tighter controls over hydrocodone would like the DEA and FDA to act in order to save lives. There is help for vicodin addiction, and someone who is becoming addicted should try and talk to a professional before something terrible happens. How/Why Are Children Overdosing on Opioids?